I have been in a huge reading slump since I finished Obsidio back in March. It's so bad that I don't even want to read manga and fanfiction. I have been watching a ton of anime and it's been great! I miss reading though. And all of my typical slump busters aren't working. So I decided to try a method that I've heard nothing but good things about how it works. Today, I'm going to be using the Try a Chapter method. It's pretty simple. I choose a certain number of books off my TBR pile and read the first chapter of each. After reading each one, I'll decide whether or not I want to continue with the book. 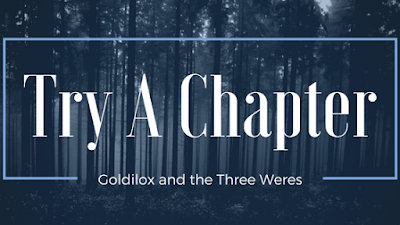 For this post, I'm going to read the first chapter of three books and I'll write my thoughts on each one. Then I'll rank the books from the one I want to read the most to the most meh of the bunch. Let's get started shall we! I found the first chapter of Truthwitch interesting with the holdup gone wrong plot but it's not the story I'm in the mood for right now. 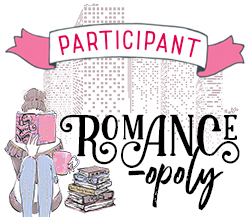 Hopefully, I'll feel more in the mood for it when I decide to revisit Safi and Isuelt's story later this summer for my TBR Bingo Card. I've been a huge fan of Jenn Bennett since I read her Roaring Twenties series and I've read everything she's published since. Unfortunately, I hadn't gotten around to her Arcadia Bell series until I picked the first book up for this. All I can say is that I am all in after that first chapter. I'm interested in the magic and the world where demons watch paranormal hunter shows in bars. Also, I want to know more about Arcadia after the bombshell that was dropped at the end of chapter one. I can't wait to continue on with this one. One of my favorite movies of all time is Studio Ghibli's Howl's Moving Castle but I have never read the book. The first chapter was fun and full of backstory about Ingary and Sophie and her sisters that you don't get in the movie. I feel so sorry for Sophie but I like how it's building up. I actually ended up reading two chapters because I got so into it. I definitely want to continue this one soon! I'm definitely going to be continuing on with Kindling the Moon as soon as I get this post scheduled. I'll probably binge read the whole series but after that I'll probably pick up Howl's because in terms of interest it was a really close second to the Arcadia Bell book. I'm not feeling Truthwitch but hopefully I'll want to read it when I pick it up later this summer. I think it's safe to say that the Try a Chapter method works! I can't wait to be reading again!